Born in 1984 in York when the word house was just something a family of nine shared it was to be seventeen years later that Ben discovered himself, and the word house had a whole new meaning. Claiming his first pair of technics and a Gemini mixer at the age of seventeen after trading in a couple of tv’s and portable Sony CD player at the local money spinner Ben took his passion and love for music to the next level. Bens first inspiration came from the hard house scene where he followed names like illogic, Tony de vit, Lab 4 and many others which after much debate he came to do his first ever gig in a small bar in York . After a year of bouncy hard house and techno Ben’s music interest switched to baseline and speed garage getting inspiration from Mick tole, Danny bond, Marc leaf and many of the Leeds underground baseline djs. This led to “Get Funkd�? a night that Ben set up and ran for about a year introducing the local talent onto the scene and progressing in his own ability. Four years on and House was where he was to stay with a regular resident spot at York’s best club Blue Fly Lounge and Playing for London’s best underground event as their northern exposure. 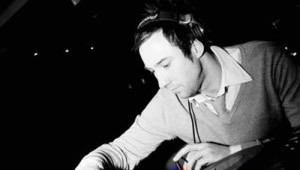 Ben’s unique style sets a standard that is high with his exciting mixing he antagonises the crowd in the massive build ups that he creates playing the upmost in soulful/deep/classic/progressive and electro House and is known to drop the odd Balearic beat to get the atmosphere buzzing.